We awarded two memberships to CC37 at Arisia this past weekend. The first was for Best in Class Novice Presentation, Amelia Linsky. Her costume is Anna Henrietta from The Witcher 3, and she also won Best in Class Stitching Novice Workmanship. The second was for Best in Show Presentation, Brendan Wilson. 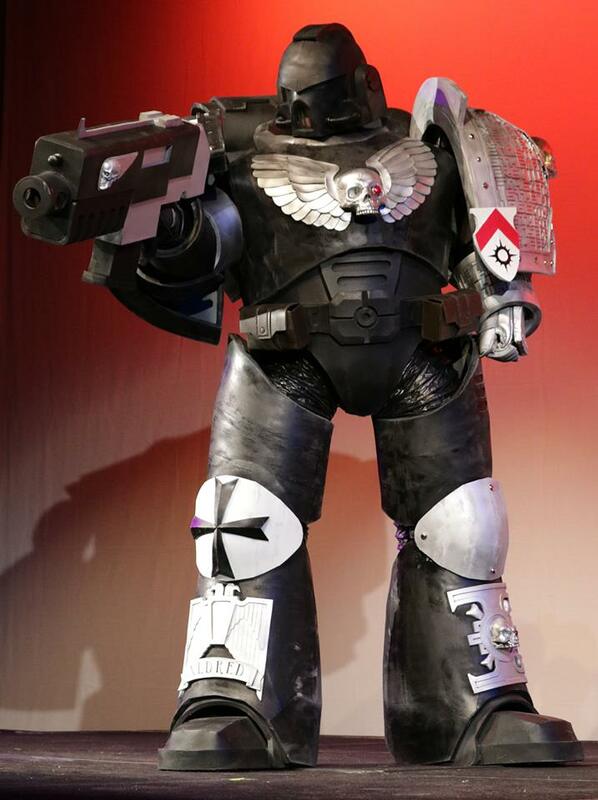 His costume is Battle Brother Aldred from Warhammer 40k, and he also won Best in Class Armor Novice Workmanship. Congratulations to you both – we can’t wait to see you at Costume-Con 37!